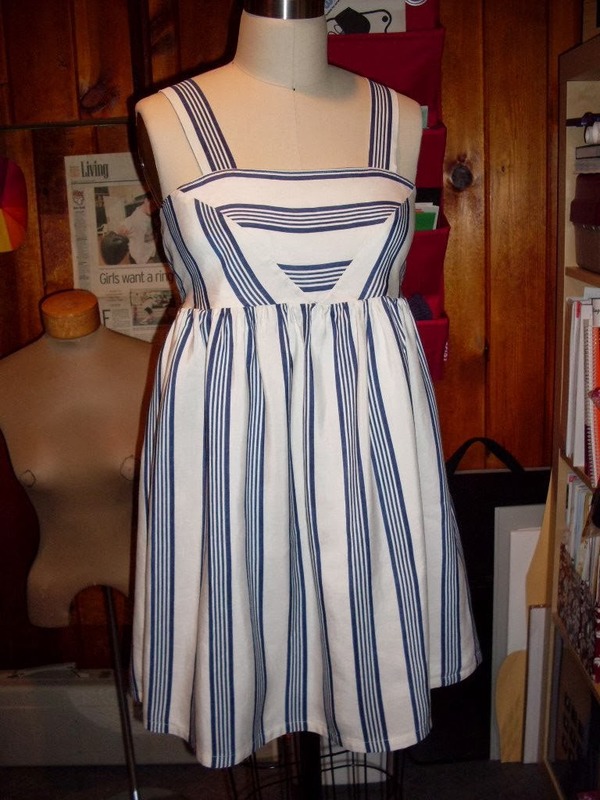 This sundress is option A from the Anna Maria Horner Evening Empire Dress pattern. I used thus striped silk that I bought recently at one of the Bolt sales. I'm a little undecided as to whether or not I like the dress. It fits well and I like the stripes, especially the V section of the bodice, but maybe it's the silk that I'm not completely digging. Maybe I should have chosen a different fabric? In regards to the pattern, the instructions were very clear and I like how the dress is completely lined. The only modification I made was to shorten the dress by about three to four inches. I love the stripe pattern! I'll send my address if you want to get rid of it!